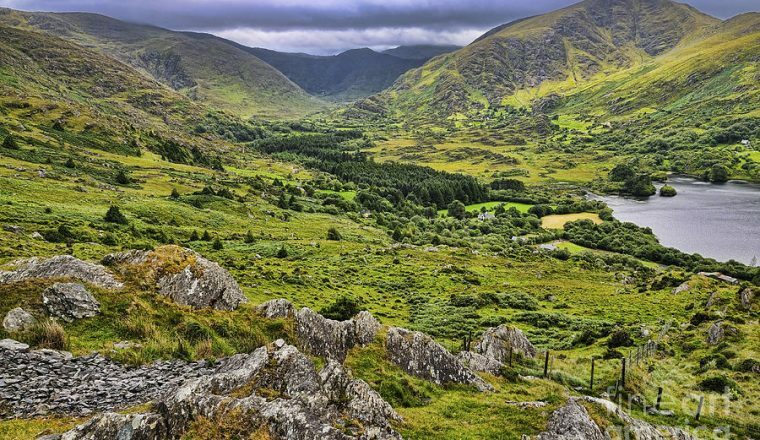 The Beara Peninsula in the southwest of Ireland is a quieter holiday destination than its northern neighbour, the Ring of Kerry. 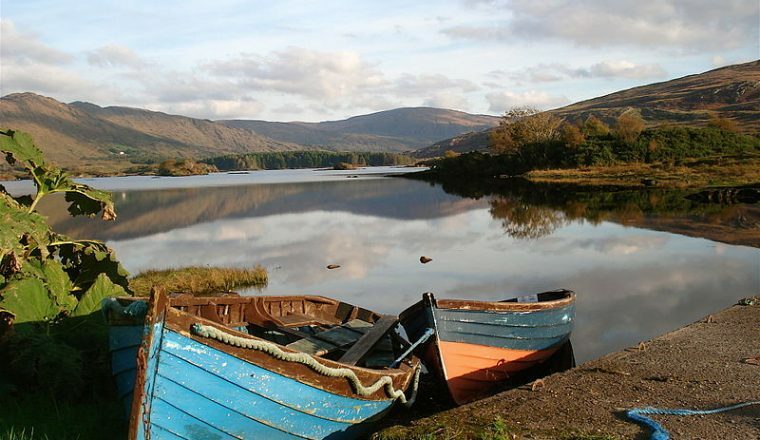 The Beara Way is a long distance walking route of 196km (120 miles) around the peninsula. You will be walking about 85km (55 miles) or 100km (65 miles) of the route. 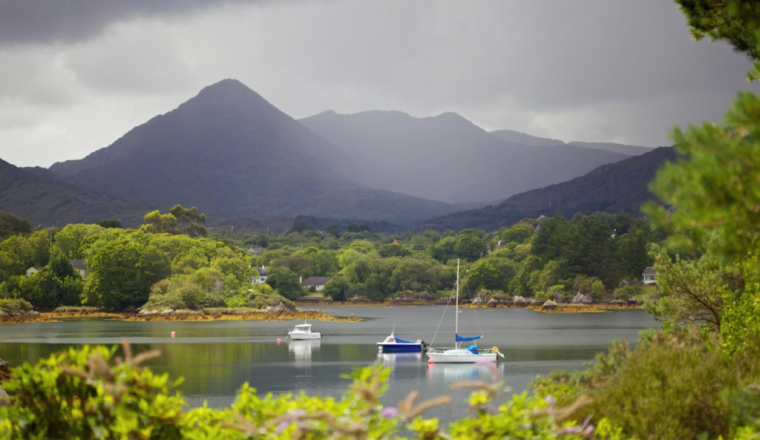 The trail starts at Glengarriff and finishes in Kenmare. It is a largely undiscovered area, hilly but not mountainous, with some good open hill-walking sections. Day 3 is undoubtedly the longest day, followed by a well-earned rest day in Castletownbere, Ireland’s largest white-fish port. There is an extension of the walking way on Bere Island for you to discover on your free day. The 10 day tour allows you time to explore the most southerly corner of the peninsula and take a cable car to Dursey island. 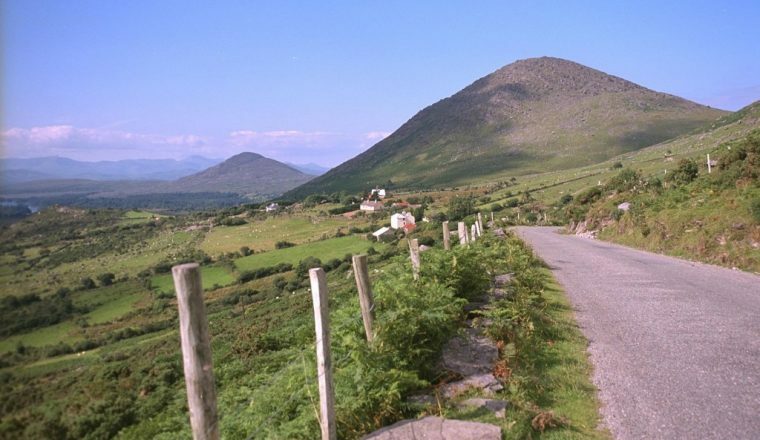 The Beara Way follows old green roads, boggy mountain trails and country roads. It is one of the better marked routes, signposted with wooden or plastic yellow markers and road signs. This tour consists of 60% quiet country road walking. £520 per person based on 2 people sharing. Day 1 Travel to Glengarriff situated on beautiful Bantry Bay. Optional visit to Garinish Island. Day 8 Departure from Kenmare. B+B accommodation in guesthouses usually with ensuite bathroom. 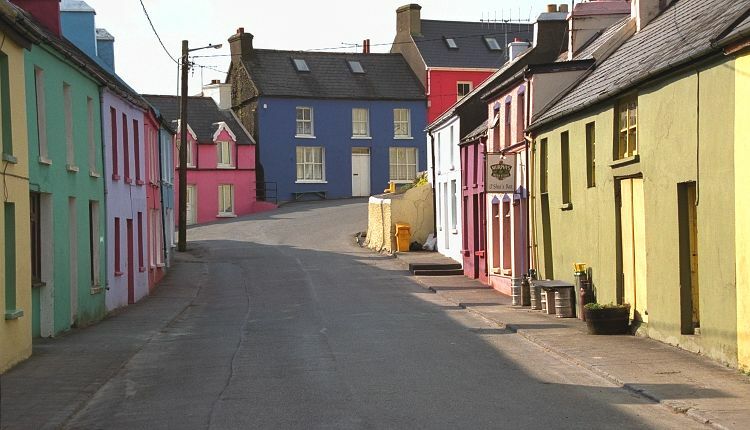 Nearest Airport – Cork. We will provide you with bus details from Cork to Glengarriff/Kenmare. We can arrange a private transfer if you wish.